I'm going to admit, I never was that girl that went on fun spring breaks while I was in college (devastating right?). I just couldn't afford it and my major was too demanding at the time to take a whole week off and relax. This year I decided that things were going to change. Yep, I am taking an adult spring break trip (well, just a vacation, in the spring). I didn't want to spend a ton of money and I wanted to go somewhere warm….Hermosa Beach, California. There are a couple of things that I did when planning this trip that helped me plan a cost effective, fun trip. I didn't know how to use this but it is actually quite easy. You set up a fare tracker that tracks hundreds of flights and alerts you when they have found the cheapest one. 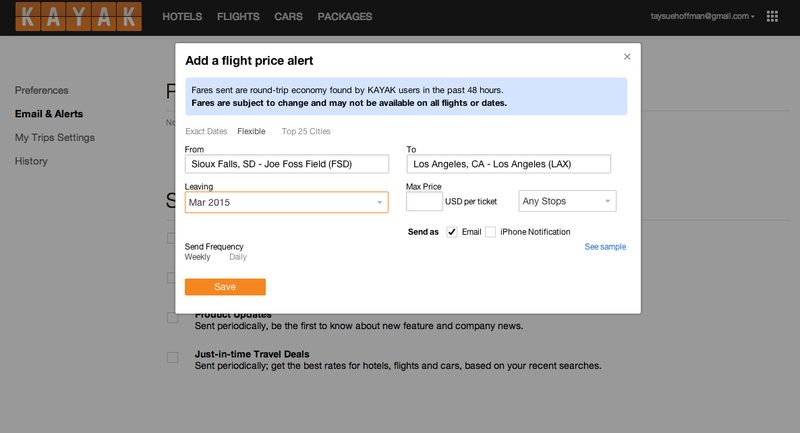 Choose a airline site, such as kayak or travelocity, set up a login, and choose the option "add a flight price alert." You may want to enter more city options too to track. For example I can choose to enter Sioux City (a close city to Sioux Falls) to LAX also and that will pull in more airline tickets. After doing this, I found a cheap ticket for only $272 and one stop in between…perfect! 2 // Use Your Resources. This may seem obvious and you're thinking "duh, Tay" but I am serious. Instead of staying in a hotel I am staying with my super fun aunt who lives there. It will be so nice to catch up with her but also have a clean, trusted place to stay and not worry about check in times, money, etc. I recommend finding a friend or family member that you can stay with on a trip…it will make the trip that much more fun! 3 // Go by Yourself. I decided that I wanted to take this vacation by myself. Sure, it would be so much fun with friends however I am at a time in my life where I just want to relax and see places on my own time. I think it's also a good idea to do a little soul searching now and then, and what better way then on a relaxing vacation? And, since I am staying with my aunt I will have still have some company throughout the trip. 4 // Pack Like An Adult. I am already planning out things I need to pack. Forget the shot glasses, 100 pairs of shoes, barely there swimsuits, and tanning oil. 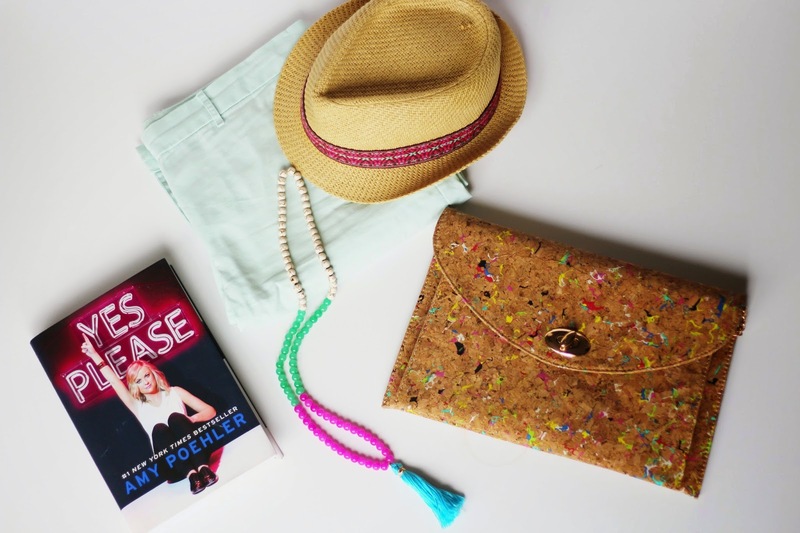 I am packing smart with sunblock, books, camera, sundresses, hats, cute (sensible) handbag, sunglasses, cover-ups, water bottle, and comfy sandals. Do you have any other adult vacation tips or tricks? Such great tips! Your trip sounds wonderful; much better than college spring breaks (believe me- 10 girls sharing a hotel room is NO fun). Can't wait to hear about it and GOOD FOR YOU! PS: that clutch is amazing. Great tips! Good for you going solo! I hope you have a great time!